Buyers and Sellers of real estate are armed with more knowledge than ever before. While today’s buyers and sellers have narrowed the information gap, the home buying and selling process itself remains unfamiliar and oftentimes very emotional for many. So why look to a real estate agent for help? Real estate agents help navigate the process, give insight into properties and lend a comparative perspective. They provide local market expertise, as many have lived in the area most of their lives. Perhaps most importantly, they help negotiate and advocate on the buyer’s or seller’s behalf. With the complexity and implications of any real estate buying or selling decision, wouldn’t you like to have a trusted professional who is committed to and passionate about your goals? We’re on a mission. Our entire company is focused on helping good things happen for other people. Positivity is simply part of our culture and why we love helping people find homes. We do business in an up front and honest way. And don’t we all just want to be treated right, anyhow? 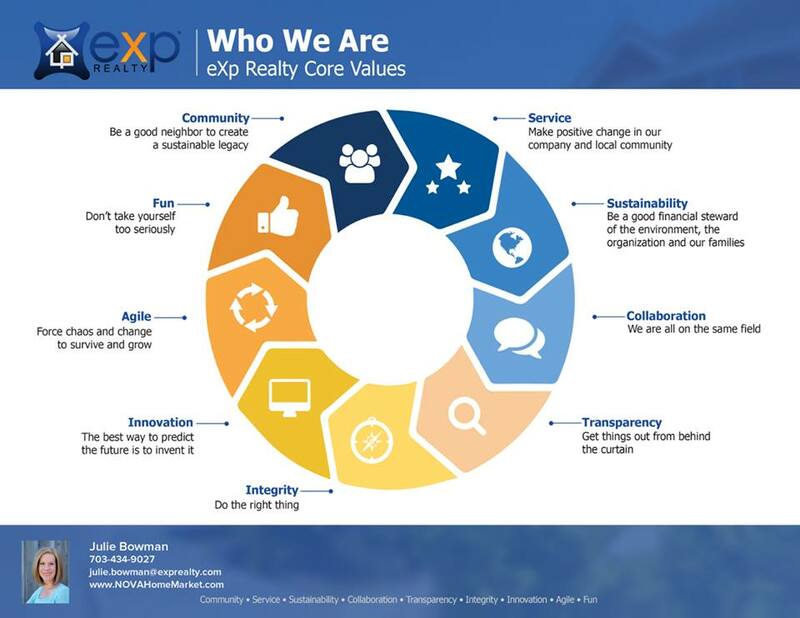 You will find things are pleasantly different at eXp Realty. It doesn’t matter if you buying your first home or selling your fifth, I am here to help and advise you every step of the way. I am a former PMP Certified, IT Project Manager and utilize my strong organization and communication skills to keep you informed and comfortable during your entire transaction. My number one goal is to exceed your expectations and provide exceptional service from start to finish, even after you move. Building strong relationships with my clients is the foundation of my business. I moved to northern Virginia in 1999 from central Pennsylvania and I love living in Loudoun County. I have two children currently in elementary and middle school and we love taking advantage of all of the activities and events in this area. I would love to help more families buy and/or sell a home this year, so please let me know how I can be of service to you!